We’re starting to hear more rumours about the next generation of Sony and Microsoft consoles, and they’re sounding even more like the PC you have sat on, or under, your desk right now. The PlayStation 4 and Xbox One started that transformation by using an x86-based APU at their respective hearts, but the PS5 and Xbox Scarlett devices look like they’re going one step further and separating the CPU from the GPU. 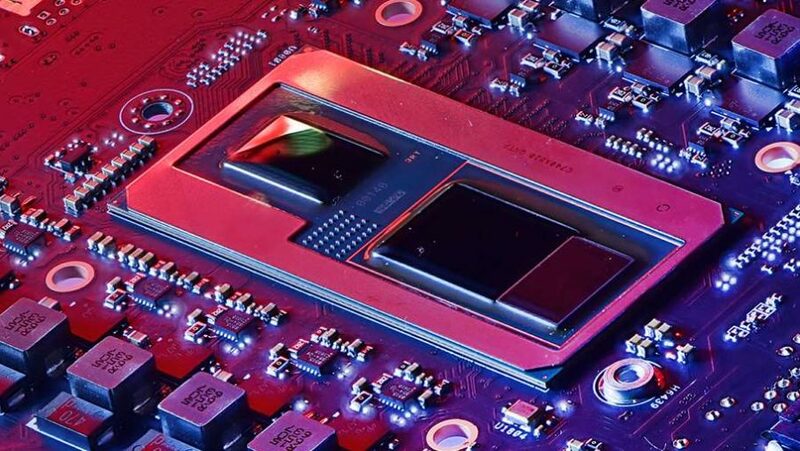 Yeah, the next-gen consoles might actually have discrete graphics chips inside them. Sony PS5 dev kits are reportedly already out in the wild, and unsubstantiated leaks have been bandied around touting the specs of the next-gen Microsoft Xbox Scarlett machines. 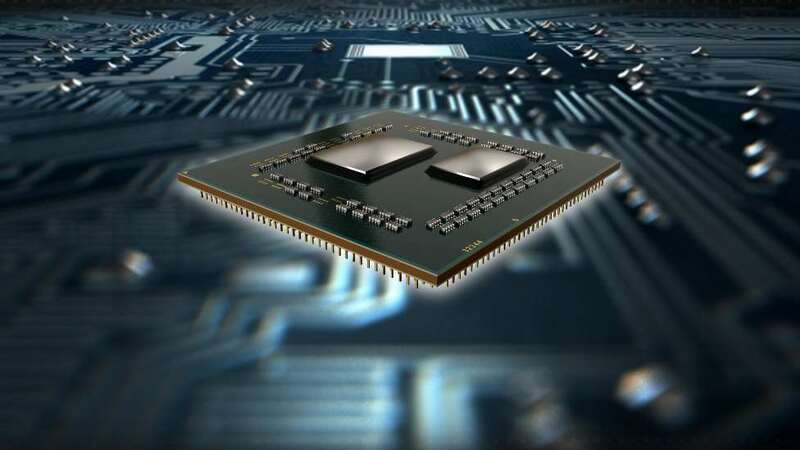 A realistic-looking product code for the AMD silicon going into either the PS5 or next Xbox has been decoded online showing both the use of the AMD Zen CPU architecture as well as the upcoming Navi GPU design. And a screenshot of what is suggested to be a specs dump from an Xbox Scarlett dev machine has also appeared, though with a powerful GPU sporting the Arcturus GPU codename. Now, of course these leaks are likely to be at least 90% speculation and 10% fabrication, but a persistent rumour floating around right now is that the silicon at the core of the next-gen consoles might not be an APU this time. Previously both consoles used a system-on-a-chip (SoC) design, which means both the GPU and CPU are combined inside a single silicon package. With the last-gen PlayStation and Xbox machines – even the high-end pseudo-4K machines – the AMD chip that powers them uses the same combination of CPU and GPU cores cosying up under the same heat-spreader. There’s more graphics silicon inside the Scorpio chip used in the Xbox One X than in the PS4 Pro, but they both use the same eight weak-heart Jaguar CPU cores. The next-gen consoles are going to be using both more graphics hardware and higher-spec CPU cores inside them too. And, despite the fact that we’re expecting one or both to be built on the 7nm production process, that could potentially result in an absolutely humongous SoC. And massive chips are also massively expensive to produce and difficult to maintain high production yields on too. 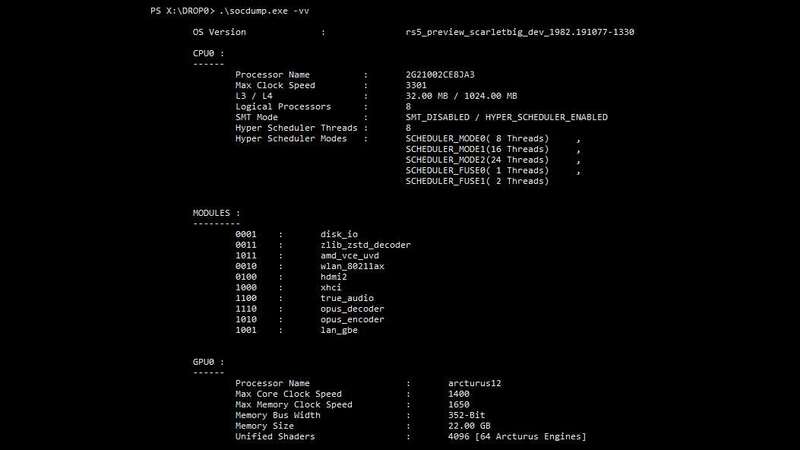 The latest leak, purporting to show those Scarlett specs, has the Microsoft machine’s Arcturus 12 GPU using 64 ‘Arcturus Engines’ for a total of 4,096 GPU cores. Using the 7nm node the Radeon VII’s Vega 20 GPU (which has 4,096 cores inside it despite only having 3,840 accessible) is still a sizeable chip. And even if Sony and Microsoft do get to use a 7nm version of the Zen architecture, that will still be a hefty beast to build from a single slice of silicon. Arcturus? Yeah, it’s looking like the previous suggestion that Arcturus was the codename for a post-GCN AMD graphics architecture was wrong. The source of that rumour has since explained Arcturus is the name of an actual chip, not a whole architecture. That means it’s entirely plausible the Arcturus silicon is actually a discrete GPU going into the next generation of Microsoft machines. There was another rumour suggesting Navi was co-designed specifically with Sony in mind for the PS5, so there’s a good chance that Microsoft either had to, or wanted to, use a different chip name for its GPU cores. Obviously this easily faked Scarlett specs pic can’t be 100% trusted – partly because it seems to spell ‘Scarlet’ differently to everyone else – but it does introduce some interesting talking points. With consoles being incredibly price-sensitive any method Sony and Microsoft can use to save money on production will be welcome, so separating out the high-end GPU from the high-end CPU makes some sense. We’re not necessarily talking about having a discrete graphics card the size of a Radeon VII bulking out the PS5 or Xbox Scarlett, or even the sort of MXM module you get inside a gaming laptop, but something like the packaging that was produced for the hybrid Intel/AMD Kaby Lake G would be possible. However they’re connected, the GPU and CPU cores will share memory in a way they traditionally don’t inside standard PCs, so they don’t need to be completely separated out with their own discrete DDR or GDDR memory pools. Both Sony and Microsoft will likely be solely using GDDR5/6 for their next machines – with 22GB in the recent dev kit rumour – so you could potentially have the discrete 7nm graphics and processor cores communicating with each other, and a shared pool of memory, via an Infinity Fabric interconnect rather than actually being physically on the same chip. None of this is scheduled to launch until 2020, however, so there is still the chance that AMD could gift the next-gen consoles the Zen 2 architecture, and with that the whole chiplet design. A 7nm eight-core chiplet, 14nm I/O chip, and a 7nm Arcturus or Navi Lite GPU could potentially sit on the same interposer, beneath a heatspreader, looking like a standard SoC. Though it’s not looking like we’ll be getting APUs based on the chiplet layout any time soon, so maybe that’s rather fanciful for a pair of machines whose dev kits are reportedly already doing the rounds. There’s also the fact that however you spin it 4,096 AMD GCN cores will get hot – 7nm or no – which is another reason for separating them away from the CPU. Giving the processor and graphics silicon their own cooling solutions is another way the new consoles would start to look even more PC than previous generations. Obviously right now we don’t have any definite confirmation on how AMD has been building the hardware for the next generation of games consoles, so this is merely speculation based on some leaks and our knowledge of AMD’s current GPU and CPU designs. But there is one thing that we do know – if they want to genuinely offer native 4K gaming, at 60Hz or higher, then they’re going to need some powerful CPU and GPU silicon. And for that, they’re going to need to look to their big PC cousins for inspiration.